Often, you can lure your teen away from video games by helping them find a passion, connect with people in a deeper way and stay actively involved in life. Of course, it isn’t always easy to get your teen to stop playing video games. 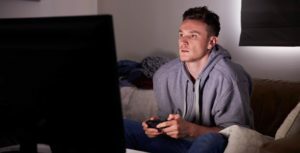 They may not be motivated to change bad habits, or worse, they may have become “addicted” to video games or the internet. In these situations, you may need help to establish healthier interests and rebuild strong interpersonal relationships. In reasonable amounts, video games can be a fun way to escape. But a teen who spends much of their free time in front of a computer or video game console is missing out on the countless opportunities waiting just outside the front door.